GoCatch was founded in 2011 in Sydney Australia by a pair of young entrepreneurs. They recognised how frustrated Australians were with the service and reliability of the taxi industry. The tech-savvy pair knew there must be a better way of catching taxis, and set out to find a innovative solution to transform this out-dated system. 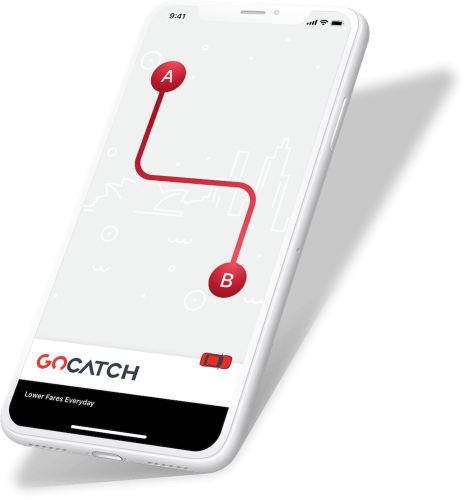 Since the idea for GoCatch was hatched in 2010, it has been the recipient of several awards and recognitions, such as a New South Wales Department of Trade and Investment grant and a $50,000 prize at Tech 23, Australia’s leading technology showcase event. In March 2018, GoCatch announced plans for an Initial Public Offering to launch in June, and appointed John Bartolotta – Managing Director of Royale Limousines, Australia’s leading ground transport provider as a non-executive board member. In joining the GoCatch Board, Mr Bartolotta will provide experienced guidance over GoCatch’s execution platform to service wholesale contracts. At GoCatch, not only are we helping passengers get from A to B, but we're also implementing new services and features to our ever-expanding platform Australia-wide. From our inception in 2011, our core purpose has been to use innovation and technology to transform the vehicle booking process and improve the passenger and driver experience. We've introduced the Fastest Route Guarantee for passengers, rapidly expanded our driver-base with over 59,000 Economy, Taxi, Maxi and Premium drivers, and have provided companies with a zero-fee, GST compliant solution providing them with a seamless and intuitive employee transportation service. Learn more about GoCatch and view the latest company announcements. Manage your business travel, effortlessly – with a reliable, low cost, GST compliant solution for your business travel needs. GoCatch – a better journey for all Australians. We’re building an ever-expanding platform that takes people where they want to go, everyday. Join us and help change the way Australia moves.